It was quiet traumatic when Kurtis Yardie accidentally slipped from a 4 feet long stage whiles performing on the Salah day in Kasoa a show titled Kasaval18 hosted by Supreme Africa and sponsored by Zylofon Cash. What actually happened that day was an accident after Kurtis Yardie gave an intriguing performance that got the attention of thousands of fans present at the event grounds, but whiles enjoying himself on stage he mistakenly stepped to the edge of the front stage where he slipped and fell. After falling he was unconscious for few minutes and some audience together with the organizers helped in helping him regain consciousness before he was moved to into a vehicle which drove him to his lodging place before the show Kokrobite. He later on had few clinical sessions at a Kokrobite health Facility where he received treatments which included some labs, injections and prescriptions. the Doctor and nurses have confirmed he had no fractures but had some sores and bristles around his knees and shoulders that is being treated. 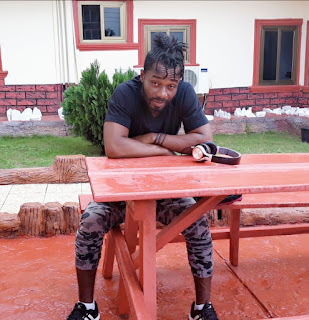 Therefore we can gladly announce Kurtis Yardie Da Starcity Boss, Singer of Obaagbemi, Munyi Zaafi and Johnny Bravo is very fit and would proceed with normal life and work on his subsequent releases. Fans and all well wishes are appreciated for their prayers and support also a very big thanks to the organizers of the event for the opportunity given and their concern after the sudden incident occurred.